Caffeine & gluten free. Mix with your water, plus sugar & champagne yeast (sold separately) then bottle immediately to make a 4-gallon batch. Carbonates at room temperature within 2-3 weeks after bottling. 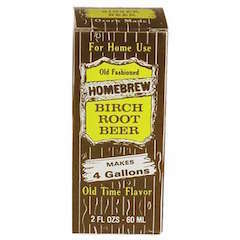 Birch Beer soft drink extract, 2 oz. Cherry soft drink extract, 2 oz. 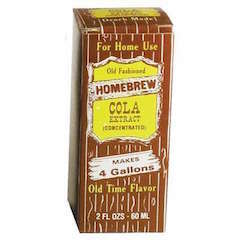 Cola soft drink extract, 2 oz. Cream soda soft drink extract, 2 oz. Ginger ale soft drink extract, 2 oz. 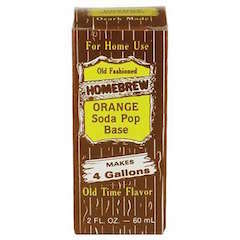 Orange soft drink extract, 2 oz. 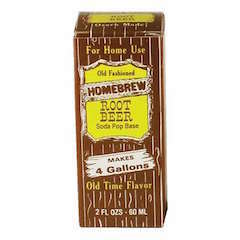 Root beer soft drink extract, 2 oz. Sarsaparilla soft drink extract, 2 oz.